A gorgeous weekend for another high country excursion is ahead with daytime highs forecast in the upper 60s to low 70s. Get there before winter conditions prevail. We’ve had some great reports of tiger trout action at Woods Canyon Lake and Willow Springs Lake, and we just stocked tigers into Kinnikinick Lake southeast of Flagstaff. 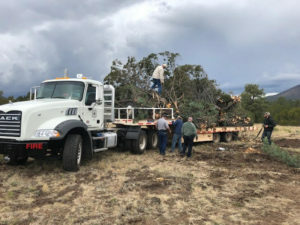 That day we sunk three trailer loads of juniper trees (above) into Kaibab — this critical habitat should make for even better fishing. Remember that seasonal closures for campgrounds on the Apache-Sitgreaves National Forests have taken place on most of the forests districts. Read more. This also is the time of year brown trout fishing picks up. Try Chevelon Lake, the East Fork Black River or Hawley Lake, where the Catch of the Week was caught. In the desert regions, bass fishing will pick up as they become more active in preparation for winter. Sounds like yellow bass action is good at Saguaro Lake. We received a report from Thursday of yellow bass hitting Kastmaster spoons in 22-25 feet of water. Did you miss the five “things we learned” from our 4-year study to investigate the fate of rainbow trout and Apache trout stocked into several of Arizona’s popular stream trout fisheries? Read the entire list. 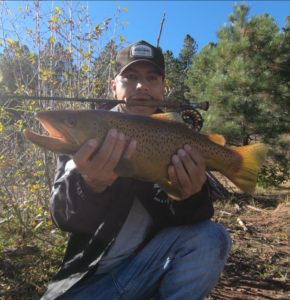 Quadray A. caught and released this brown trout, reported at 21 inches, at Hawley Lake around 3 p.m. on Oct. 18 using a homemade midge-like fly. Rainbow trout: Lynx Lake, Fain Lake, Frances Short Pond, Oak Creek, Parker Canyon Lake. Tiger trout: Kinnikinick Lake, J.D. Dam Lake. Please join AZGFD staff and volunteers, Santa Cruz County Supervisor Rudy Molera, and the Coronado National Forest-Nogales Ranger District for a morning of family fishing fun. The Arizona Game and Fish Department will be providing loaner rods and bait for this event (or you may bring your own). Bring your family out to enjoy free fishing and instruction from AZGFD Sport Fishing Education staff and volunteer instructors. The event is open to all ages. 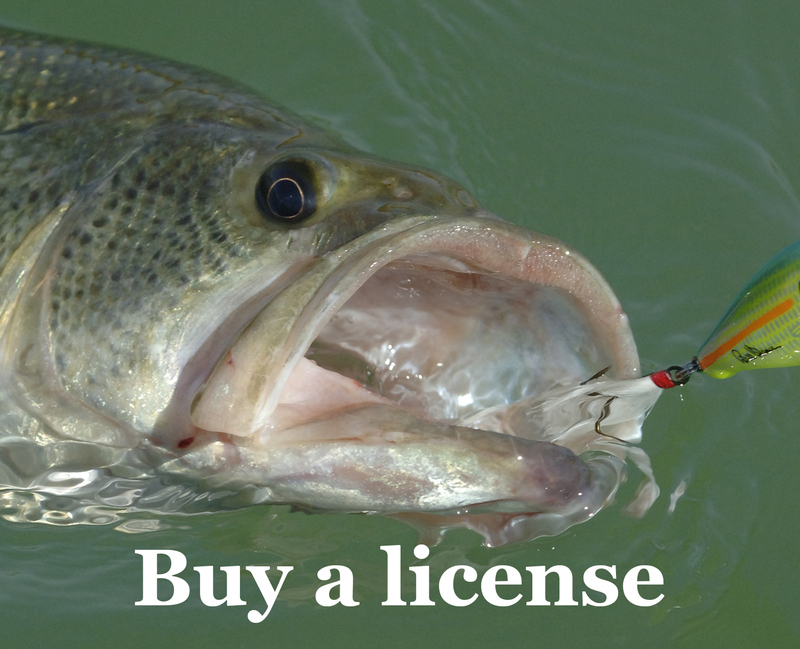 Fishing licenses are not required, during the planned hours of the event, for those who register at the Game & Fish booth. For more information please contact the Sport Fishing Education Program at (623) 236-7240.